This survey should take no more than 15 minutes to complete. All of your responses are completely anonymous and the data gathered will only be shared in aggregate form with the communities at Health Union, including InflammatoryBowelDisease.net. 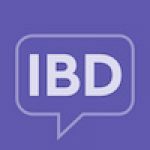 Finding a supportive, trusting healthcare team while navigating life with IBD is critical. Sometimes, this is easier said than done. Have your voice heard by taking our survey today!